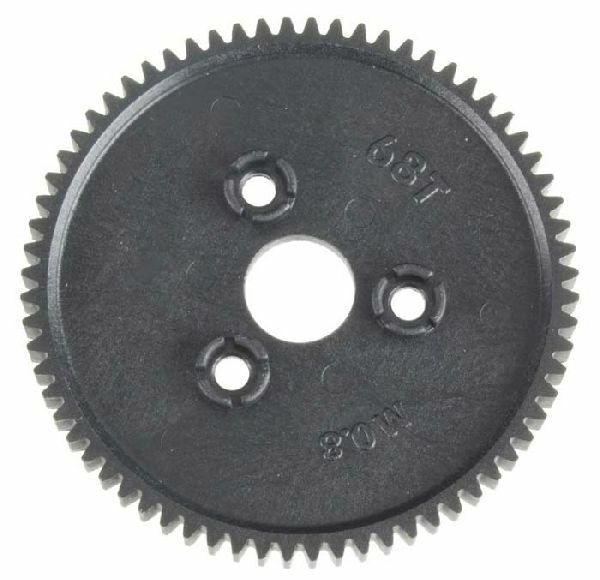 This is the TRA3961 optional .8 Metric Pitch 68 Tooth Spur Gear for the Traxxas E-Maxx. Nylon construction, black in color. INCLUDES: One 68T 0.8 metric pitch spur gear. REQUIRES: Installation on the vehicle.